Towards the coast on the outskirts of Fasano is located the Parco Rupestre Lama D'Antico. Spread over two sections the park is a fantastic example of an ancient medieval settlement which developed here between the 10th and 14th Centuries. The main section is bisected by a small canal, or 'lama', beside which are located numerous cave dwellings, stables and workshops which provide a real insight into life in the settlement. Located in the middle of the village is the cave church of Lama D'Antico, one of the largest and best preserved cave churches in Puglia. 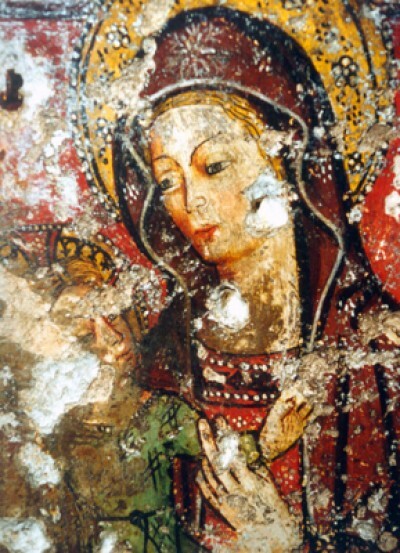 With a significantly larger entrance to those of the dwellings and workshops, the church is entirely carved out of the rock, with arches on pillars, a vaulted dome-like ceiling and still preserved frescoes representing both the Latin and Byzantine influences here of the medieval period. 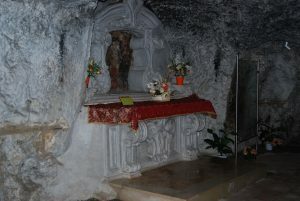 The second section contains two further cave churches, San Giovanni and San Lorenzo. Both have striking architectural features and well preserved frescoes depicting iconic saints, prophets, martyrs and monks. The park is set amongst some stunning scenery, with age old olive trees, majestic carob trees, and a host of other flora such as caper bushes and a yellow sage known as 'Salvione'. We highly recommend a visit to spend an hour or so here if in the area or en-route elsewhere. The park is open to visitors all year round, but from October through to May it is only by appointment (except for Sundays which are open from 9:30am - 1pm). From May to October it is open from 9:30am - 1:30pm and 4pm - 8pm. It costs €4 per person for just the main section, or €6 per person to include access to both sections. Children under 10 years of age are free of charge. Guided tours are available in Italian, English and French for an additional fee, and in our experience the staff have been very well informed and helpful. This is one of the most important archaeological sites in Italy, located on the coast between Monopoli and Ostuni. Evidence of human habitation here at 'Gnathia' dates back to the late Bronze Age, around the 13th-12th Centuries BC, with a scattering of huts along the coast, a stone wall surrounding one area. In the 5th Century BC large walls were built by the Messapians, stretching for an impressive 2km around the settlement. One section of the walls still remain at the original 7 metres in height. The sheer volume of pottery discovered in the tombs and other buildings at the site has meant 'Gnathia Pottery' has become the generic term for all pottery found from the middle of the 4th Century BC to the 3rd Century BC. The remains of the Messapian acropolis are visible, along with evidence of the impact the Romans had on the settlement, including typical Roman buildings such as an amphitheatre and forum. The Via Traiana stretch of the great Appian Way runs right through the middle of the town and is very impressive. It is believed the Goths destroyed the city, although it continued to be inhabited to a limited extent until the 12th Century, with many of the ancient tombs being converted to living space. 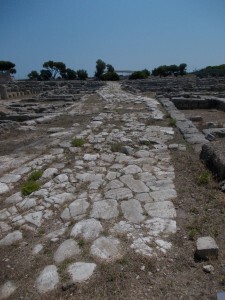 After this time it was used as a source of building materials, with many of the ancient buildings being scavenged to contribute to construction works in nearby towns such as Monopoli and Fasano. The official excavations of the site were commenced in 1912. 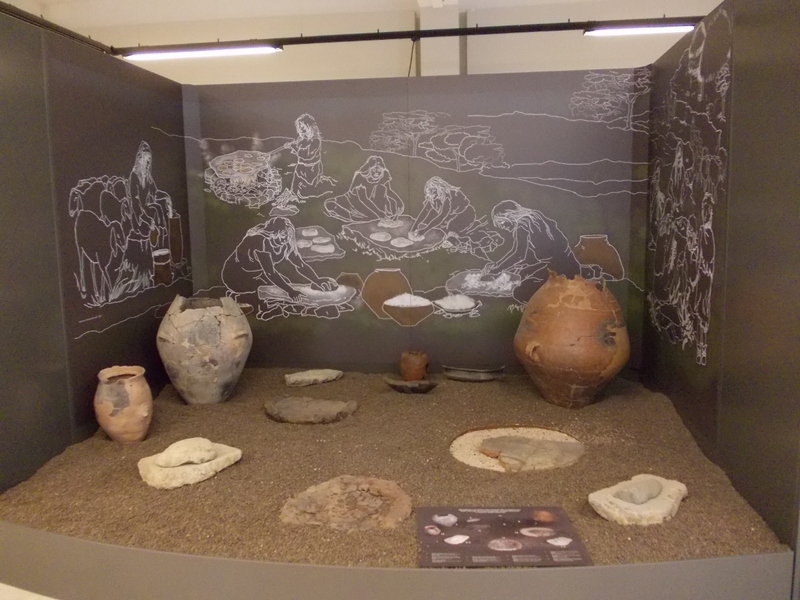 The on site museum is very good and worth including in any visit to the site - there are collections of finds from the Messapian period through to Roman times, not just from Egnazia but further afield in Puglia as well. The museum and archaeological park are open from the end of March through to the end of September. 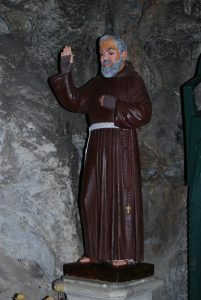 Entrance fees for both museum and park are €3 per adult, and €2 per adult for either the museum or the park individually. Under 18s are free of charge and adults aged between 18 and 25 get a 50% discount. 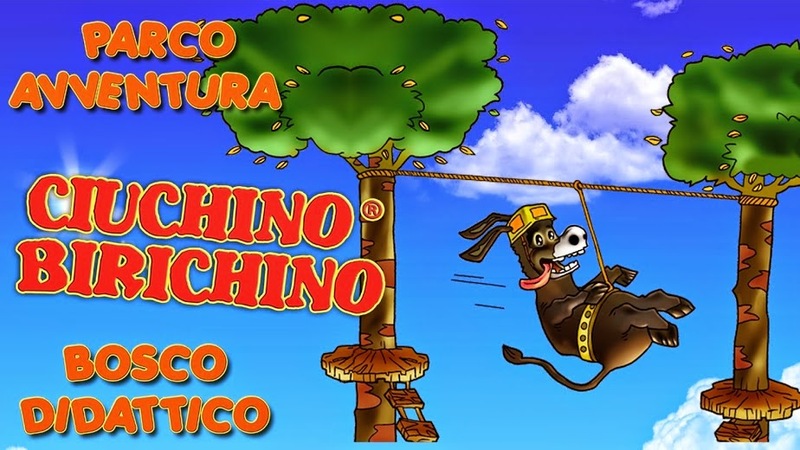 Located just outside Ostuni on the road to Cisternino is the Parco Avventura Ciuchino Birichino - billed as Puglia's largest adventure park. Set in eighty hectares of forest, meadows and other vegetation the park follows along similar lines to Go Ape in the UK, with suspended walkways and platforms, aerial runways etc. In addition to the trails through the trees, the park also offers archery, falconry, Nordic walking, horse and coach rides, orienteering and yoga, amongst a variety of educational opportunities. Suitable for children above three years and adults alike. A one off charge of 6 euros per person is charged to enter the park. Prices start from 10 to 15 euros for c.3 hours on the tree walkways depending on age, and a variety of prices for the other activities. Open every day from the end of March to the end of September, Zoosafari Fasanolandia includes a zoo and a theme park, located in Fasano about 30 minutes drive from Trullo Annunziata. There is a drive through safari including lions, tigers and bears, or one can walk around the animal enclosures on foot. The theme park area has the standard rides such as a log flume and ghost train, as well as a handful of more dramatic roller coasters. There are also numerous animals, birds and reptiles on show throughout the theme park area. The more extreme rides require children to be above 1.3m in height, but there are a number of attractions that are available to children above 1m in height and also no height restrictions. Prices for the safari park are €22 per person (€19.50 for children aged 4-10). The theme park entrance fee is €9 per person, which includes 6 tokens for the rides (further tokens can be purchased at €6 for 6 from ticket offices throughout the site). Children under 1m in height are free for both the safari park and theme park. Tickets for the reptile centre, monkey train and lake of large mammals are €3 per person and not available with the standard tokens. There is plenty of parking on site (if not taking your car into the safari park), at a cost of €2.50. There are numerous events put on for visitors, so look into dates and timings if there is anything you are particularly interested in. The park is located just to the west of Fasano, off the road from the town towards Locorotondo, but is well signposted from the surrounding area. 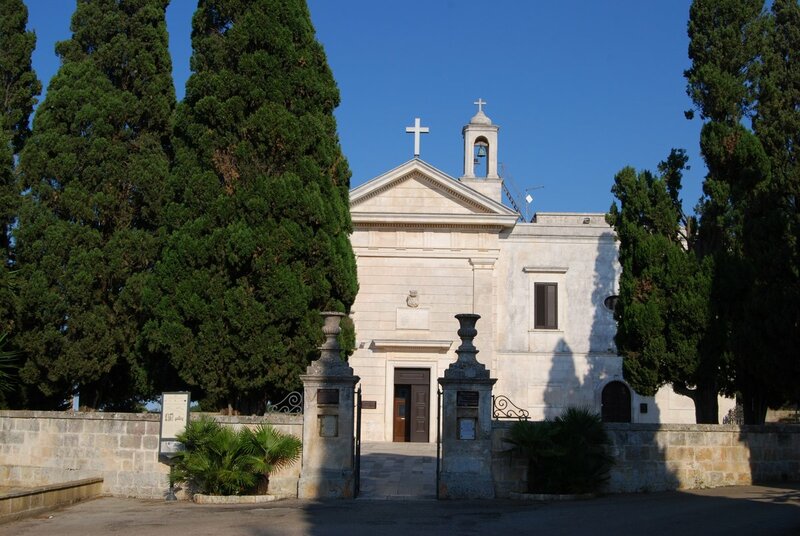 This rupestrian church is a "must see" for anyone staying at Trullo Annunziata. 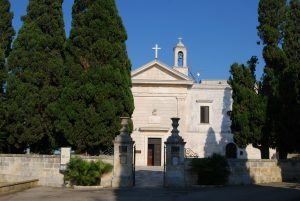 It is located on a side road between Carovigno and the main Brindisi/Bari highway. The large church stands on a prominent isolated hill top looking out to sea. It is usually open for visitors (you are asked to put 1 euro in a box). 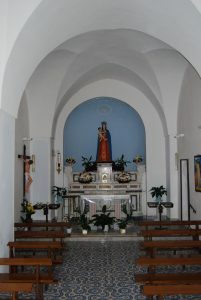 The surface level chapel has a particularly attractive tiled floor and altar statuary. However, the main interest lies below this. 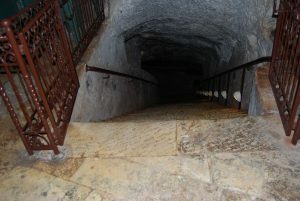 From the surface chapel a large staircase leads down to an intermediate level underground chapel, and from here a small staircase descends further down to a deep cave chapel where frescoes of the Virgin Mary and others have fairly recently been revealed. 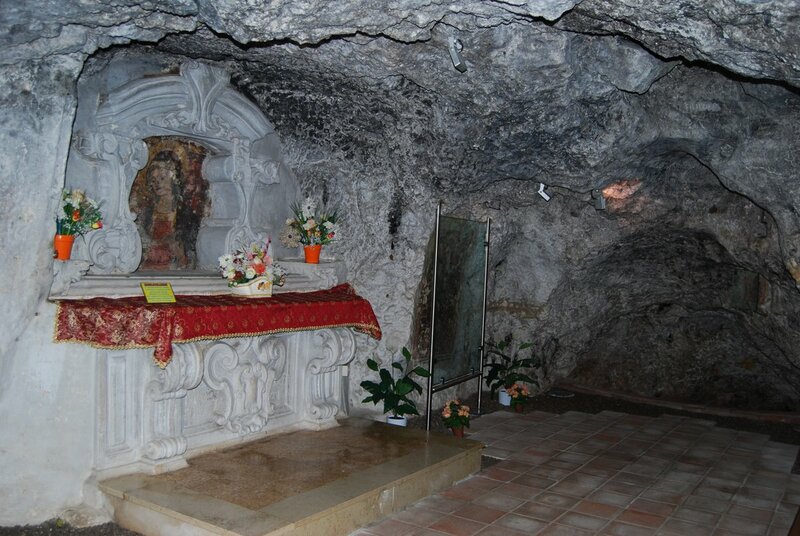 There are many rupestrian (cave) churches in this part of Italy, but Santa Maria di Belvedere is close to both Casa Nonna and Trullo Annunziata and easily accessible by car. The short time needed to make a visit will be regarded as well spent.